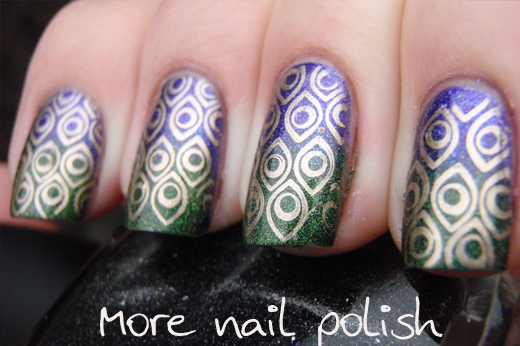 Here is a mani I wore last week and over the weekend for a record 5 days. What! Yeah 5 whole days in one mani I loved it so much. The photos just don't do it justice because what you can't see is that the purple and the green polishes are both holographic customs polishes I made some time last year. That is all today folks. gorgeous! I can see why you kept it on for so long! Which stamp set was this? Sorry. That was a bit of a lazy post wasn't it. Plate is from bundle monster 212. Wow! That is simply gorgeous! I second the above post - which stamp set did you use? 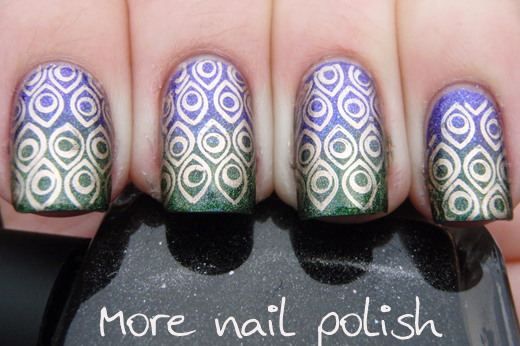 This mani has convinced me for sure that I need to get involved and get stamping! And I will start with this one - sorry for being a copycat but it's divine. Thank you. Bundle monster plate 212. Amazing is the word! 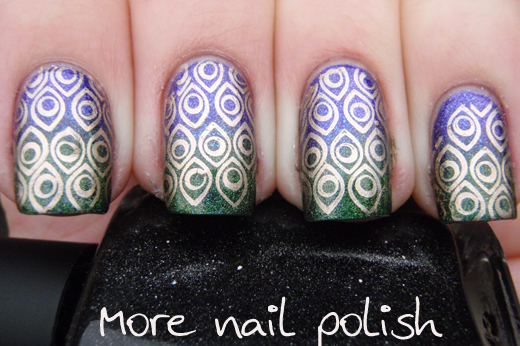 Both the green and purple polishes look gorgeous! That looks amazing! 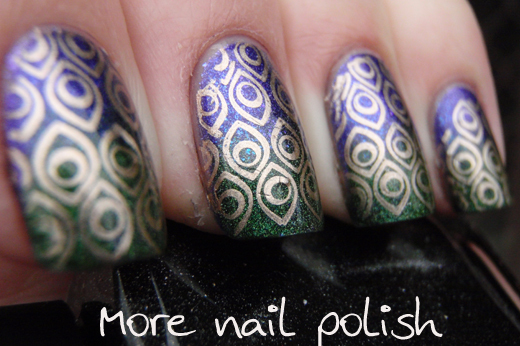 I love peacock manicures! It's nice, I wouldn't have wanted to remove it either! This is so pretty! Nice job! peacocks are my fave ! this gradient works perfectly for this! These look amazing. 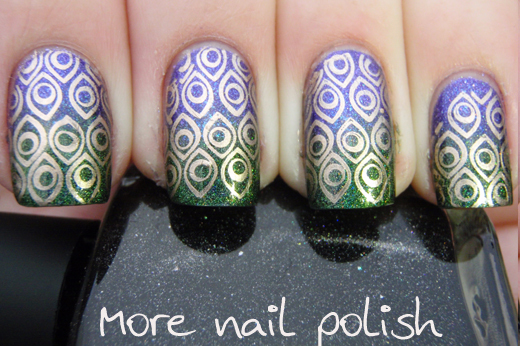 So perfect that you would think the are nail polish strips. Can't believe you made the polish as well. This is amazing! I love so so much! Gorgeous! Your looks always turn out well, and this is no exception. I love this!